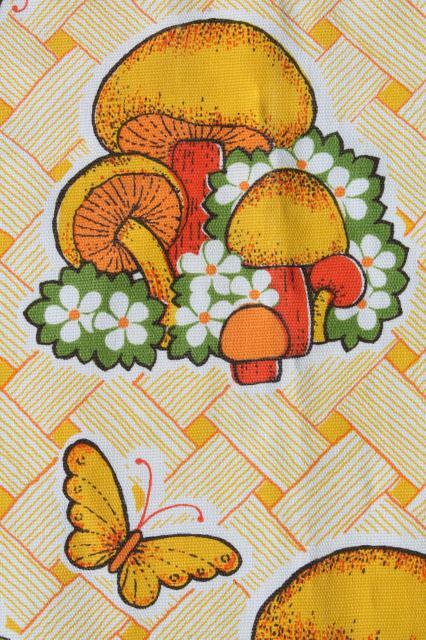 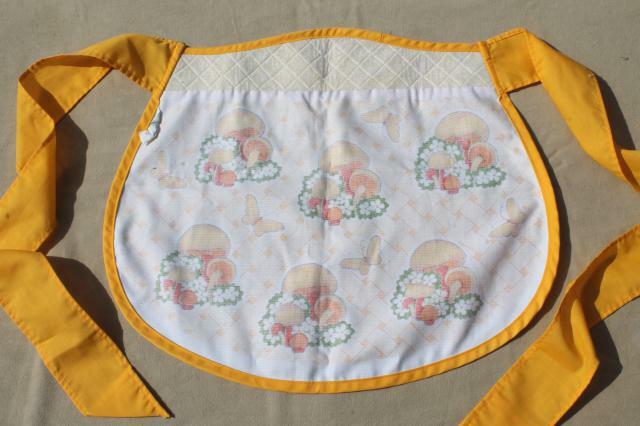 Cute cotton poly blend kitchen apron with mushroom pattern print, 1970s vintage. 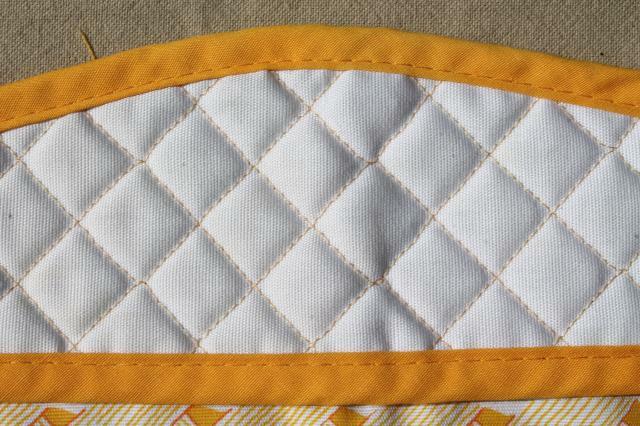 It's nice and clean without spots or stains. 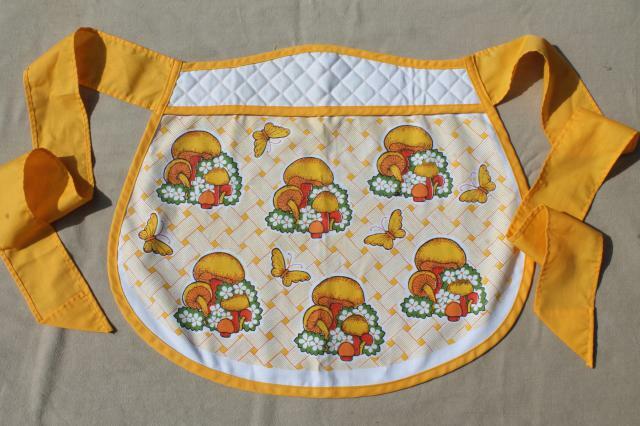 Measures about 16" x 16" over the apron bib.